If your doors look a little worse for wear, maybe the are damaged or you need to have your doors completely replaced, we can help. We fit and hang new doors and can replace the fixtures and fittings too, should this be a requirement. Call us now on 01293 769595 or 07789 203648 for a no obligation quote, or contact us by Email below. 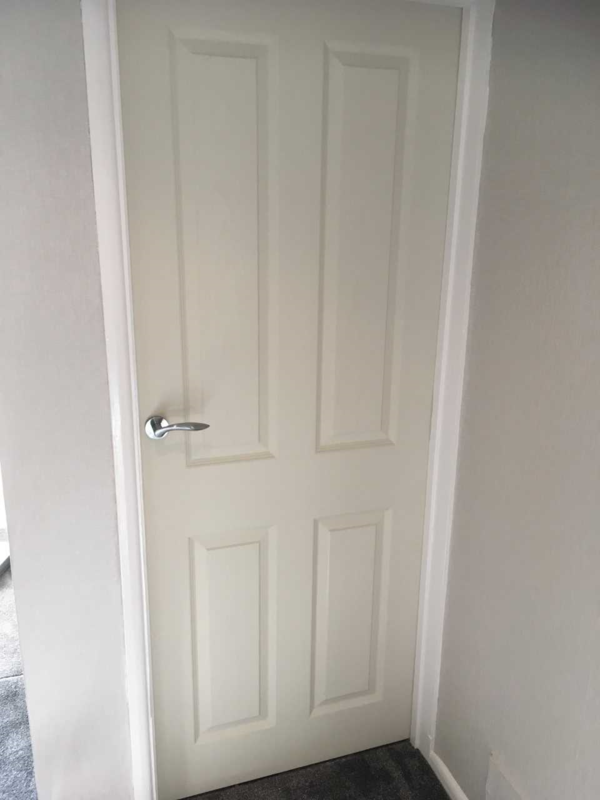 At Surrey No1 Handyman we have qualified, skilled carpenters who specialise in the fitting of internal doors in and door fixtures such as handles, hinges, bolts, dead locks, escutcheons, knocks, letterboxes and dog or cat flaps. All door supplied and fitted are FSC certified. We provide a complete supply and installation of internal doors across Surrey, London, West Sussex, Hampshire and Berkshire. All door hanging work carried out and completed by a qualified, skilled and highly experienced professional carpenter. We can provide door hanging options that will suit your budget. All charges are agreed before job is started to give peace of mind. We can supply hardwood, oak, oak veneer, softwood, walnut, clear and knotty pine,white moulded panel, white primed, flush, rail and fire escape doors. Wooden doors all have their own character and are available in pre-finished and un-finished. Doors can be stained, or clear varnish or wood paint can be applied to suit your taste. All doors supplied will arrive with the fitter on the day work is carried out. Old doors will be removed carefully, causing the least amount of damage possible on wall and surround.